On the night of 31 December 2013 – 1 January 2014, ZL1ZLD at Musick Point rang in the new year with an incredible session of non-stop DX. What made this even more impressive was that all the contacts were made by one operator. 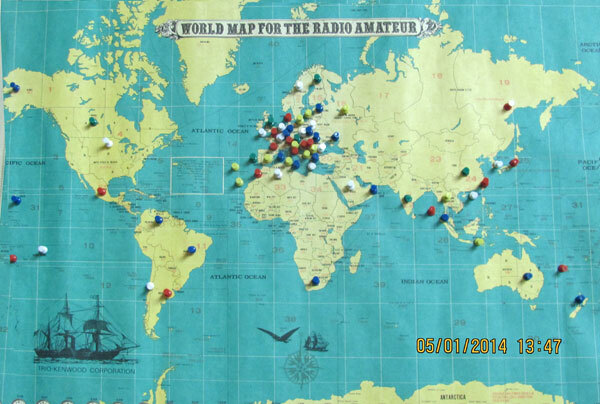 By the time the rig was shut down after a long night, the log book showed 521 contacts in 68 DXCC entities. Franc ZL1SLO was the operator, and Rick ZL1WOT assisted. Operation was on 20, 15 and 10 metre SSB using the 1000-watt Icom IC-7700 station and tri-band yagi antenna.